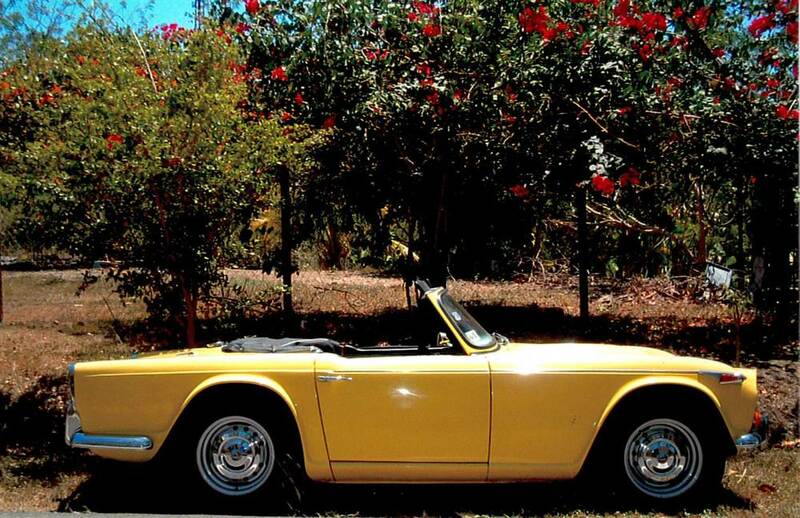 During the month of July 1967 attorney Luis Lizardi purchased this Triumph TR4A 1967 model. The primary use that he gave the vehicle was to leisurely drive with his wife, Celia Isabela García, and their two children, Carmen Celia and Maria Isabel (4 and 5 years of age, respectively). They usually went to La Parguera and Boquerón, which are tourist areas close to the town of Sabana Grande, where this family lives. Attorney Negrón Lizardi was the son of Mr. Luis Negrón López, who was at that time running for governor of Puerto Rico. Attorney Negrón Lizardi died when he was 45 years old and his father, M. Negrón López, also died shortly after his son had died. 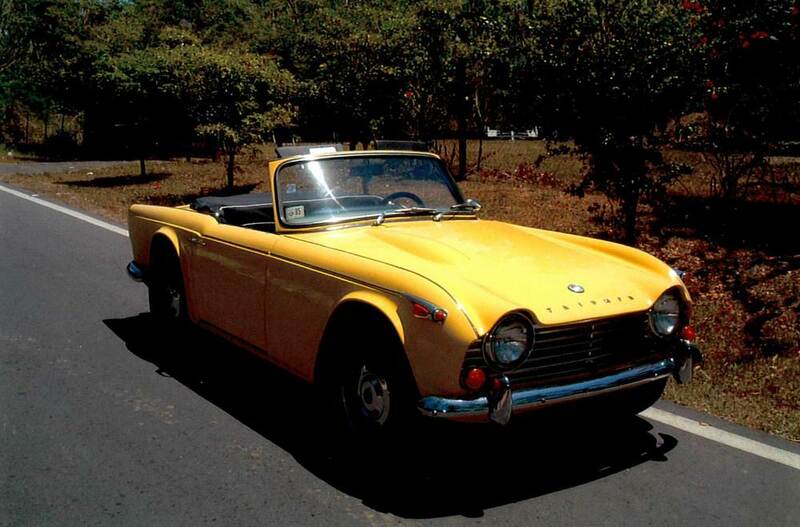 This vehicle was in his possession until 1969, when Mr. Manuel Caraballo, who is nicknamed Nollyn, purchased it. 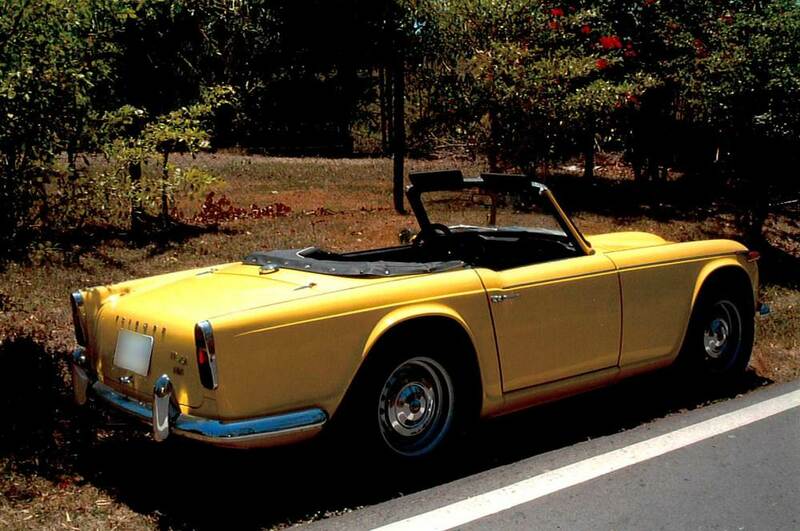 Mr. Caraballo has had close to 10 of these vehicles (Triumphs) among other models (TR3, TR4, TR6, etc.) 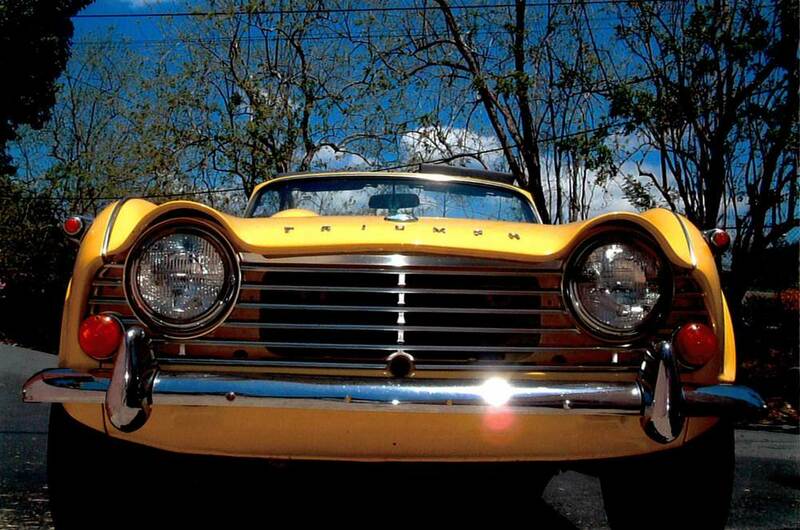 Mr. Caraballo restores these vehicles in his mechanic and paint shop. He maintained his vehicle in perfect condition. 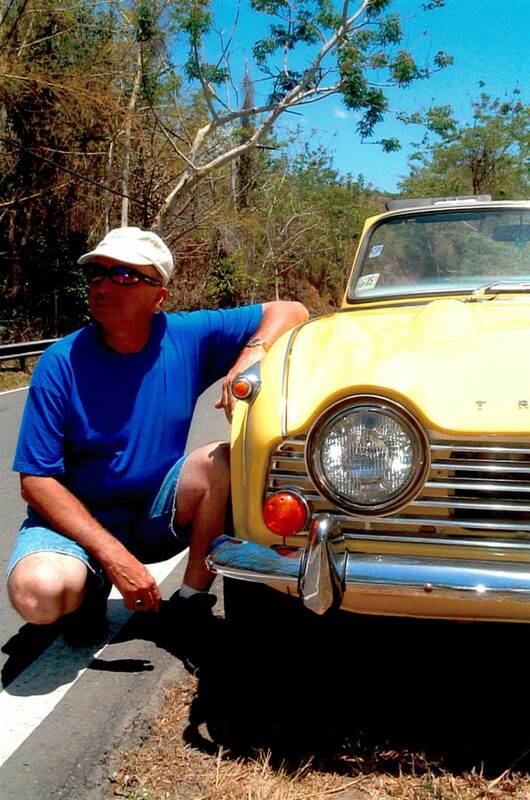 Thirty years ago, May 1972, I bought this vehicle from Mr. Caraballo and it is still mine. I used it for five or six years as my only vehicle while I was a university student and part of the time while I was working. When I turned 27, I married and paraded in my Triumph with my wife next to me. Recently, my second daughter from that marriage paraded in it for her wedding. At the present time, I use the car during the weekends and occasionally as a means of transportation to work. It is a vehicle of incredible force and efficiency. 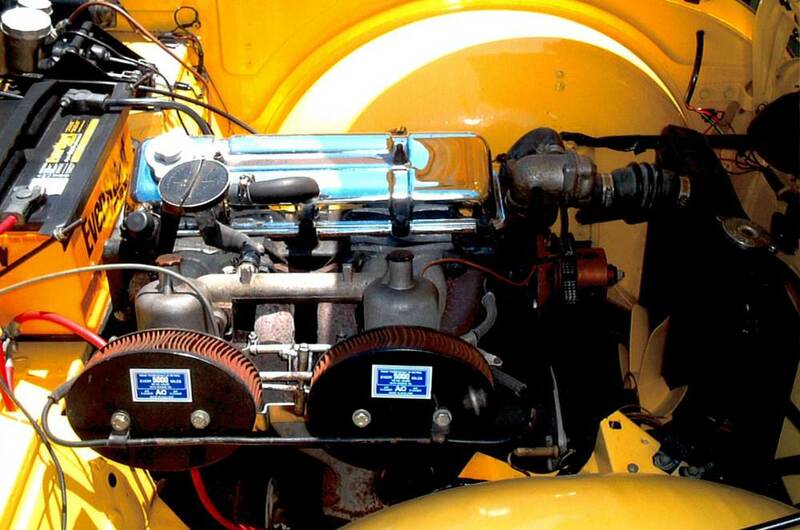 Only on two occasions, during all the time that I have had it, I had problems with it on the road (one time when I fell into a hole on the road and it broke one of the front suspension parts; and on another occasion, particles in the gasoline that did not allow it to remain turned on). It has been a great and reliable friend. I do not accept any sound that is the contagious sound that it produces while I am driving. I also do not allow anyone to punish my silencing the additional noises that it makes, if any. It is an effective therapy to deal with the problems and mishaps that come up. 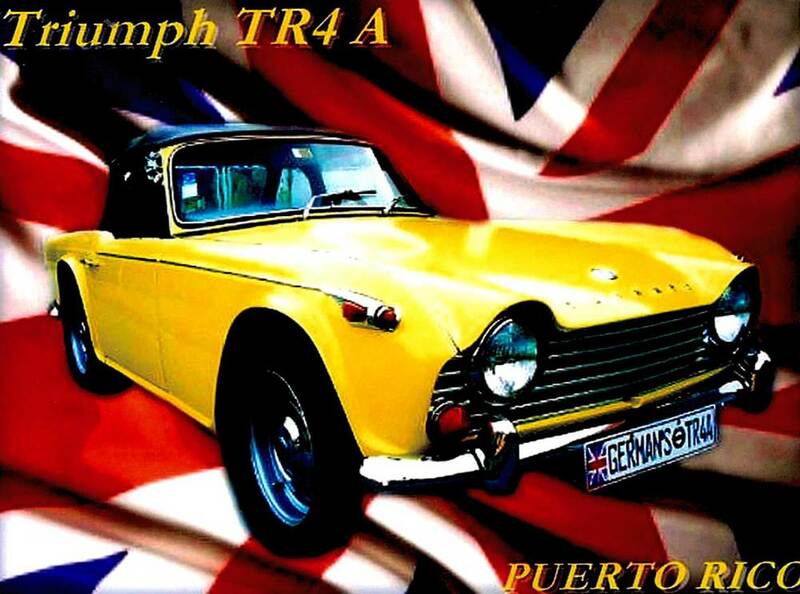 Every time I use my Triumph TR4A, I relive the best 30 years of my life. Many pleasant and unforgettable memories.